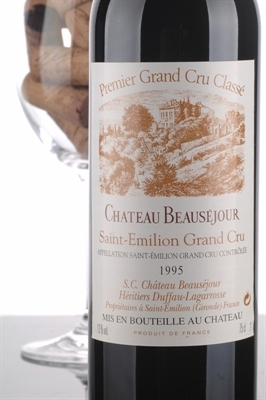 On numerous occasions this wine was gorgeous from cask, exhibiting a saturated dark purple color, and a sweet kirsch, black cherry, mineral, and truffle-like character not dissimilar from the old vine intensity found in the great Pomerol, Lafleur. On numerous occasions this wine was gorgeous from cask, exhibiting a saturated dark purple color, and a sweet kirsch, black cherry, mineral, and truffle-like character not dissimilar from the old vine intensity found in the great Pomerol, Lafleur. However, the wine was totally closed in November, with earth, minerals, and black fruits emerging after extended airing. In the mouth, the wine was completely shut down with extremely high levels of tannin. I was only able to taste it once, so I am reserving judgment until it can be retasted.